Breath of the Wild is big (thank you Captain Obvious), and we already know that there’s a ton of stuff for Link to get done in this latest version of Hyrule. Whilst it is possible to go straight from the Shrine of Resurrection to the final showdown with Calamity Ganon, without even so much as bothering to put on any pants, Link will only get to comprehend why it is he’s been thrown into this particular challenge by fully exploring the world around him. Something that’s probably best done wearing trousers whilst we’re on the subject. I wonder how many nudists there are in Hyrule. 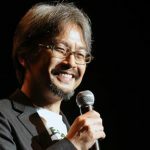 Despite this incentive to take in as much of the game as possible, in an interview with The Completionist, series producer Eiji Aonuma twice implies that a 100 percent completion is unachievable in the latest iteration of the Zelda series. At one point, host Jirard Khalil states that he has to get “every single thing” in Breath of the Wild, to which Aonuma-san flat-out replies “Yeah, that’s impossible”. We already know that there’s an alternate ending to the game, should the player fulfil certain criteria. Perhaps there’s more branching than Aonuma is letting on, or some areas or items that are inaccessible once the player has done something else. I know I plan on taking my sweet time in exploring my surroundings in Breath of the Wild. I want to take in as much of that world as is humanly possible, and if I have to play through it multiple times in order to see everything, I’m more than okay with that. All that having been said, we don’t know exactly what constitutes 100 percent in Aonuma’s eyes. He might be talking about collecting every single weapon being impossible to accomplish, purely due to the scope of the game. There’s only so many tree branches and Bokoblin arms Link can carry after all. It’s certainly open to interpretation, and when Jirard shows Aonuma his previous exploits in completing each previous Zelda, he does jokingly remark that maybe Jirard could finish it 100% after all! You can watch The Completionist’s interview with Aonuma-san and Shigeru Miyamoto (in which everyone wears pants) in the video below, and decide for yourself. There’s some great insights into the development of the game and some of the challenges they faced in creating it. Check it out!